Kirill’s great rival in the 2009 patriarchal elections highlights the "unacceptable" differences that exist between Catholicism and Orthodoxy. The opinions of Catholics and other heretics about God are “unacceptable". 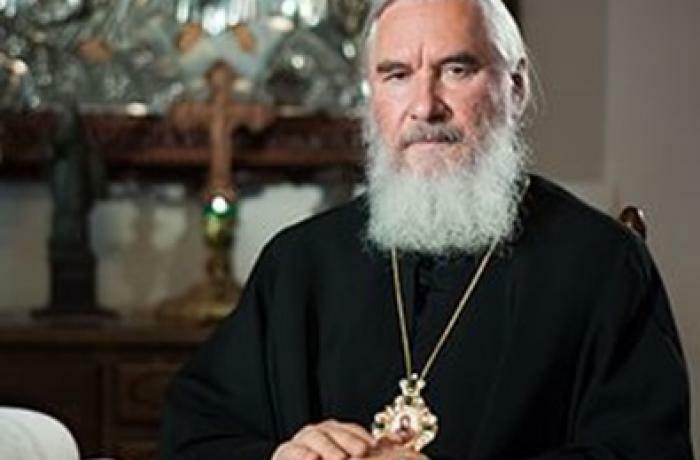 Moscow (AsiaNews) - A prominent leader in the Moscow Patriarchate, Metropolitan of Kaluga Kliment (Kapalin), recently released a homily with a strongly anti-ecumenical content, in response to the recent overture and common activities with Catholics by Russian Church officials like Metropolitans Hilarion (Alfeyev) and Tikhon ((Shevkunov) and Patriarch Kirill (Gundyayev) himself. Metropolitan Kliment was Kirill's only rival in the 2009 patriarchal election. The third candidate, Philaret (Vakhromeyev) of Minsk, withdrew in favour of the current patriarch. In some ways, Kliment embodies the more "rigorous" spirit of Russian Orthodoxy, in continuity with the late Patriarch Alexy who had clearly indicated him as his successor. After his election he was immediately removed from his patriarchal functions (which he held since 2003) and relegated to a secondary role, that of president of the editorial council of the patriarchate. A little younger than Kirill, Metropolitan Kliment is one of the last "Soviet" hierarchs, becoming a bishop in 1982 at only 33, on the eve of major changes. During the years of Gorbachev’s perestroika, he was in charge of Russian parishes in Canada and the United States and returned home in 1990 with the newly elected patriarch Aleyi (von Ridiger), of which he was one of the closest collaborators. He was one of the main players in the 2000 Jubilee Synod during which he strongly supported the canonisation of Tsar Nicholas II, which was granted by Kirill’s "reformists" in exchange for the approval of the "social doctrine" of the Russian Church, the written programme by the Kirill group that inspired the policies of the new president Putin. In the restructuring of the patriarchate in recent years, Kliment was placed in charge of the supervision of charitable activities. In his piece published yesterday in the magazine Vechernaja Moskva, the Metropolitan challenges today’s widespread view that "all religions speak of the one God" and that all those who pray do it their way but always in a single direction. According to Kliment "we must respect the religious traditions of other people but this does not authorise us to be indifferent to our own faith". After differentiating monotheistic and pagan religions and their representations of the one God or the many gods, Kliment asks himself whether we should speak of "one man" when we speak of a person, when we distinguish men by age, outward appearance and many other features. God’s properties are more difficult to distinguish, but we still talk about it differently among Christians. For this reason, according to Kliment, "the cause of the break in Eucharistic communion with Catholics and other heretics, with whom the Church stopped relations once upon a time, is precisely due to the fact that the Church, its holy Fathers and holy Councils considered unacceptable their views about God because they lead to catastrophe in spiritual life and prevent the realisation of the plan of salvation." To illustrate the irreducible differences between the Catholic and Orthodox faiths, the Metropolitan compares two holy figures that are often considered similar in the West, namely Saint Francis of Assisi and Saint Seraphim of Sarov. Francis tried to imitate Christ "outwardly", fasting for forty days, accepting suffering and giving up material wealth, but for Kliment, "it is not the renunciation of wealth that saves us but the union with Christ". This is the difference with the great Russian ascetic of the early 19th century, who for a thousand days and a thousand nights lived on top of a rock repeating Jesus’s prayer: "O God, have mercy on me, a sinner". Seraphim recognised his sin and his imperfection, whilst Catholic saints like Francis (or Thomas of Kempis and Ignatius of Loyola), claim to possess perfection, at least according to Kliment and other Russian polemicist theologians. 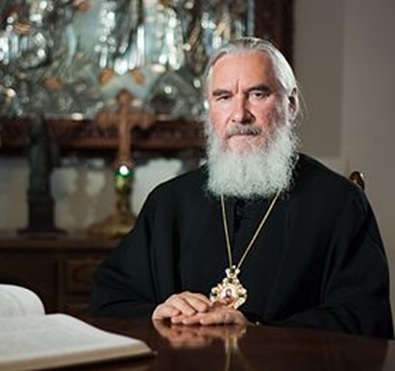 The arguments of the Metropolitan of Kaluga are certainly not new, but their publication today indicates an attempt to re-centre the position of the Moscow patriarchate, in light of greater relations with other Christians. For him, it is better to stay away from Catholics to avoid ecumenical confusions.